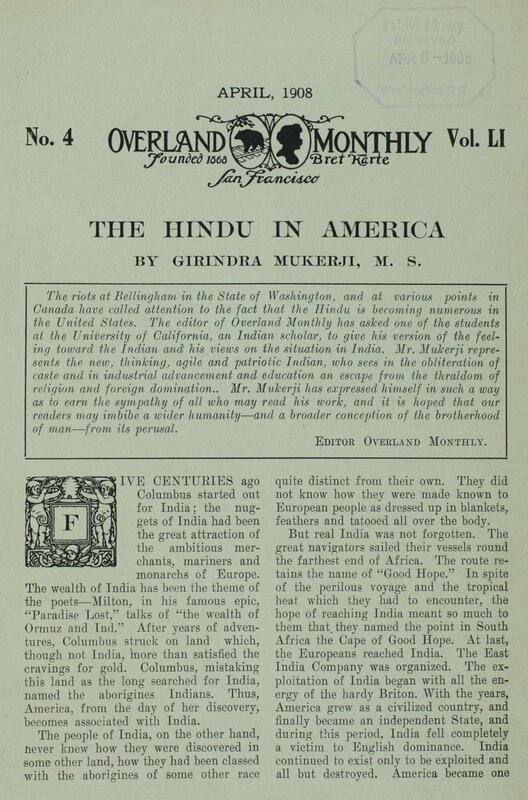 In "The Hindu in America," an article from the April 1908 issue of Overland Monthly, Girindra Mukerji, a student at the University of California, writes about the Indian presence in the U.S.. The editorial note also remarks on the 1907 riots in Bellingham, Washington. Mukerji first discusses the Indian students in Japan, earning an industrial education, and then touches on Indians studying in the U.S. 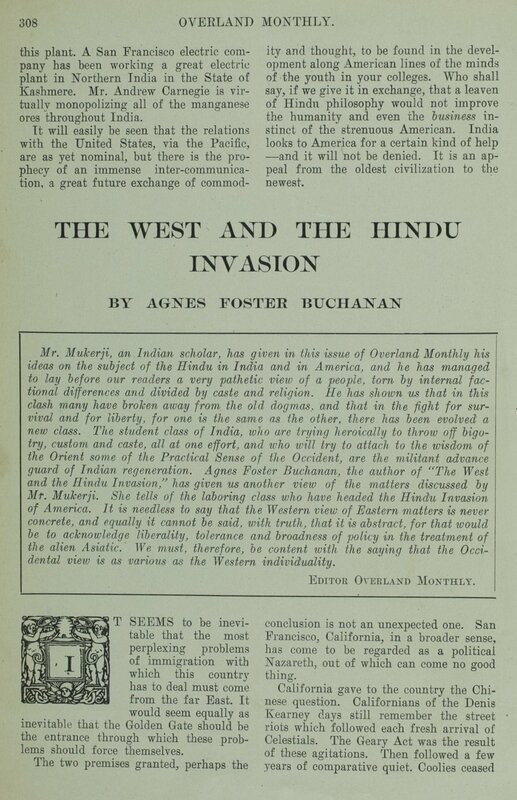 He writes, "the year 1901-1902 brought the first pioneer Hindu students to the schools of the Pacific Coast. 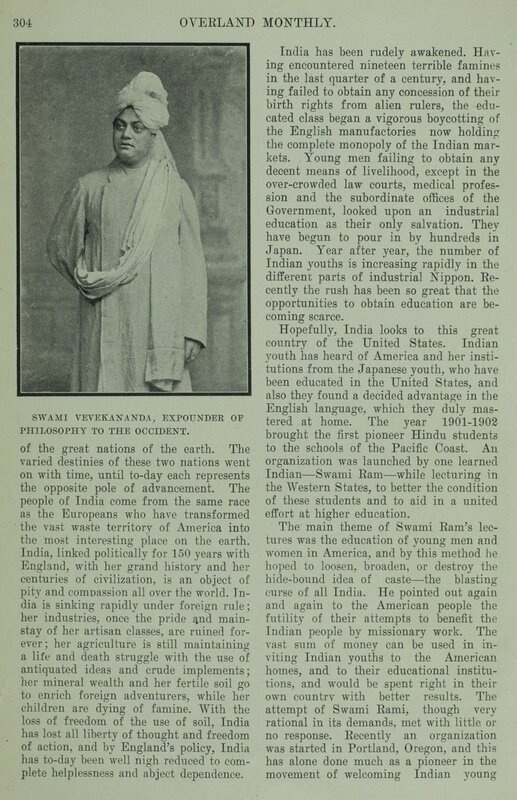 An organization was launched by one learned Indian -- Swami Ram -- while lecturing in the Western States, to better the condition of these students and to aid in a united effort at higher education." 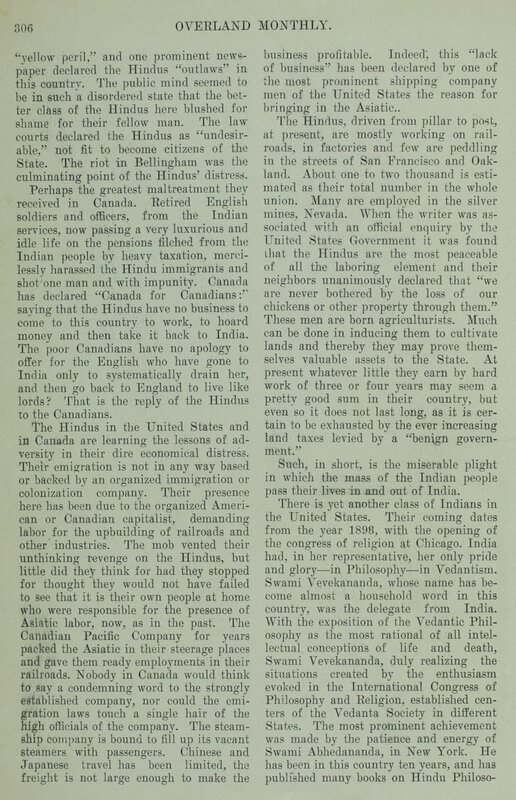 Mukerji also mentions an organization in Portland, Oregon that encouraged Indian men to take up work as students of agriculture. 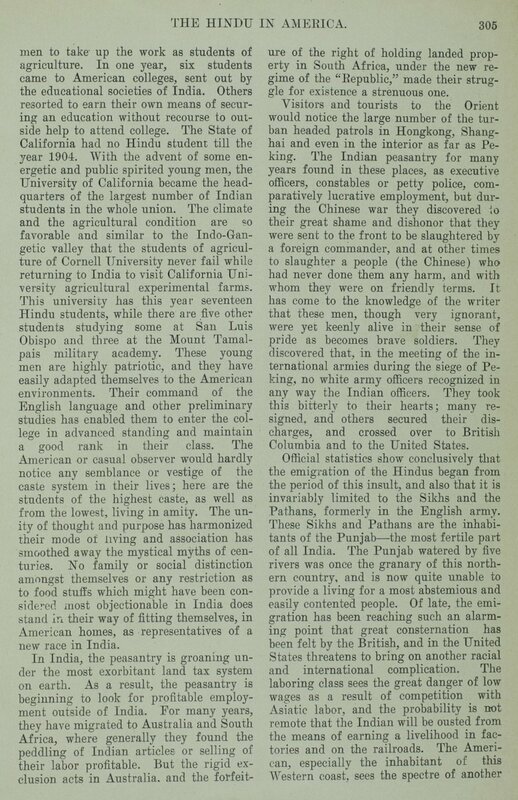 The essay has several other notable facts about the presence of Indian students in the U.S., including details about the first student at University of California, and projects at Cornell university. 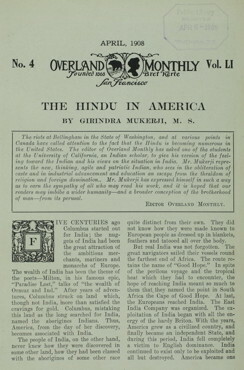 Mukerji spends part of the essay on the mistreatment of Indian laborers in the U.S. and Canada, as well as the presence of Vedantists in the U.S. There is brief mention of the Vedanta society's branch in San Francisco, known popularly as "the Hindu Temple." 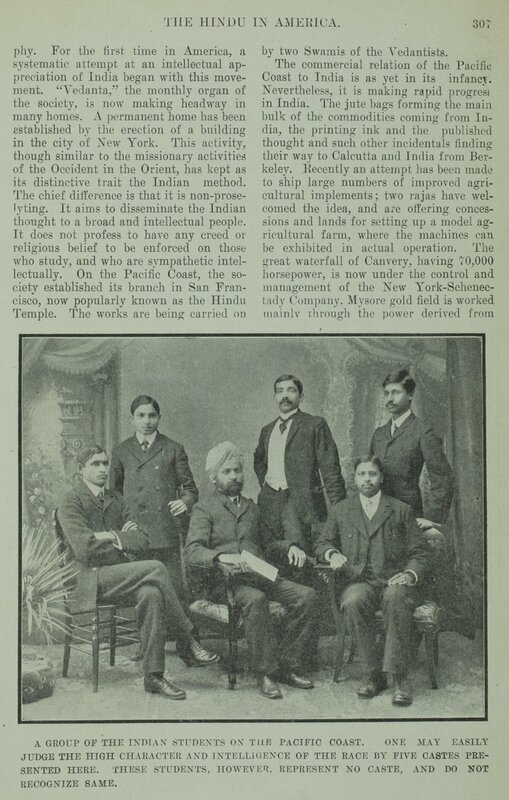 The article contains a photograph of Swami Vivekananda, and another of a group of Indian students in the west coast, who allegedly represent five unique castes, though the caption remarks that "these students […] represent no caste, and do not recognize same."